Baste and quilt. Sew together six leftover strips to create the binding. A binding tutorial can be found here. That’s it! Simple and absolutely beautiful! Thank you for checking out my tutorial! p.s. if you make my pattern, I’d be thrilled if you shared it on my Facebook page!! Adorable! I'm thinking solids too 🙂 I'm totally into aqua and gray right now…hmmm. What a great tut, thanks Jera!! 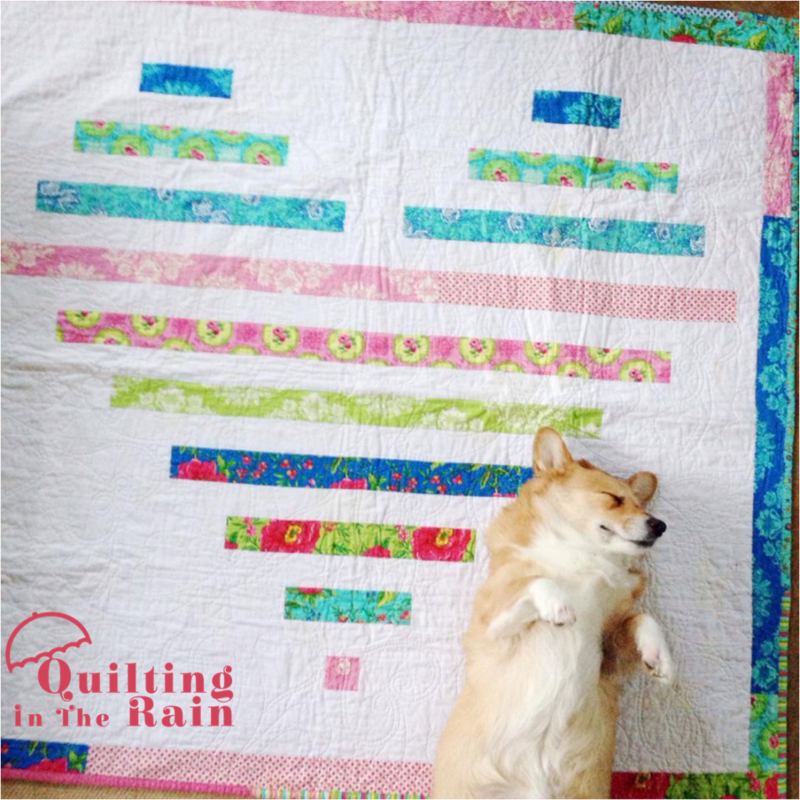 Oh my goodness, I am in love with this quilt and it is now on my "to do" list!! Thank you soooo much! This is a great design Jera – simple but very effective!! How wonderful. What a great idea!! Thank you for posting the pattern! What a wonderful design. I can think of all kind of wonderful combinations–even a scrap red with the white background. Thank you! I really love what you've done with this quilt. It's just awesome. Thank you for the tutorial. 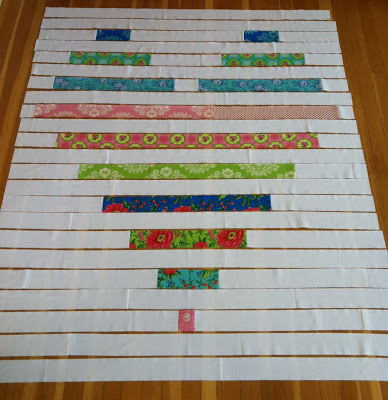 I discovered your lovely heart quilt at moda's bakeshop and was curious to see your blog. So I'm here, looking around. I am not yet a very experienced quilter but have done already some quilts. 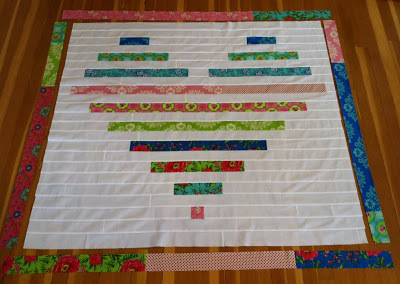 I'll certainly do your heart quilt with jelly rolls made out of my stash. Thank you for this tutorial. The BEST tutorial I've seen in blogland. Thanks for your precision and the pictures. A very nice heart, Your blog is wonderfull. Greetings from Kirsten in Denmark. Love love love!!!!! Questiion??? Would I be able to make this quilt in a smaller size 36 x 40???? 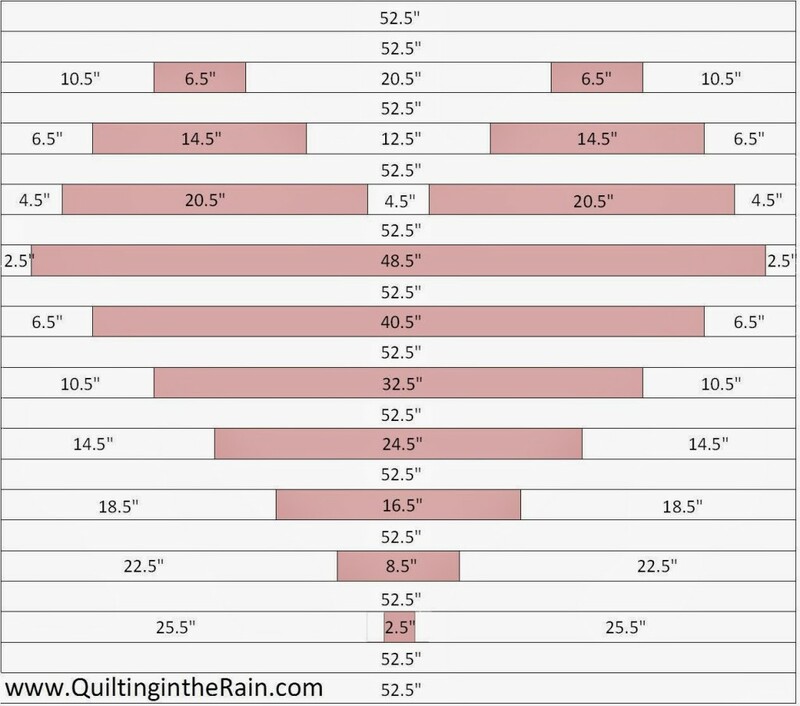 I thought Summer Love would be a great little baby girl quilt!!!! Thank you for sharing your design. I have just completed my top using reds for the heart. The quilt is intended to be a gift for my husband's cardiac surgeon. My husband had open heart surgery in November 2012 and a quilt seemed the best way for me to try to show my gratitude. Hi Libby, thanks for the comment. 🙂 You're very welcome for the pattern! What a meaningful and heartfelt gift (no pun intended). I'm sure he'll love it! Really cute, cute, cute–lovely original design! This is such a great design, made this quilt top today with stash valentine fabrics…phew you really have to pay attention to your cuts, then just like putting a puzzle together. Thank you for the tutorial, simple and easy to follow! love it!! I used this pattern/tutorial to make a quilt to send to the Orlando Modern Quilt Guild’s Quilts for Pulse drive. Thanks for a great idea and easy to follow directions! Thank you for posting this. I will be making it as a charity quilt for Hole in the Wall camp through my quilt quild! !